A mighty 70s soundtrack from the duo of Guido & Maurizio DeAngelis – scored for a mondo film set in Africa, but done with a style that's often like some of their more familiar Italian material of the time! Action, drama, and comedy each get musical time in the spotlight – and the music often has larger orchestral passages that are nicely differentiated, based on the scenes captured by the exploitative documentary style of the film – which sometimes includes passages that were faked to create more drama on the screen! 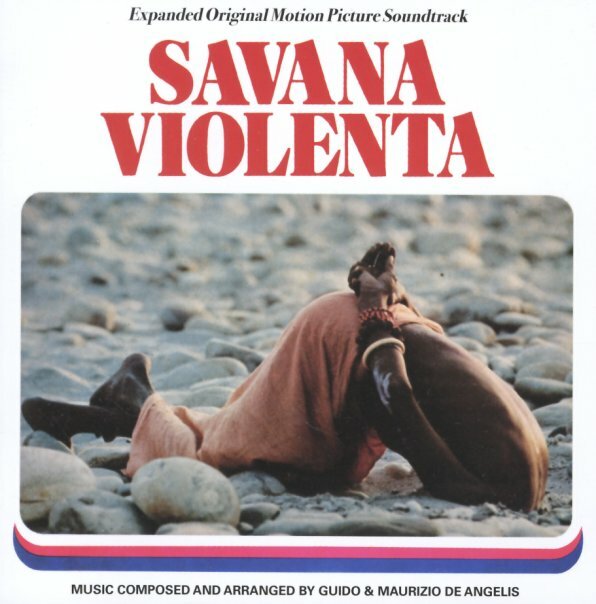 There's hardly any instrumentation that would reflect the setting of the movie at all – and instead, the DeAngelis brothers are more than happy to mix together bouncy rhythms, swirling strings, and even some playful chorus passages – on titles that include "Savanna", "Terremoto", "Carioca", "Subenda", "Anthem", "Let's Sing A Song", and "Elefanti Marini". CD features the original 15 track album – plus 24 more bonus tracks from the film, all previously unissued! © 1996-2019, Dusty Groove, Inc.